"Are you on the list?" That's the question that was posed to me in an image that appeared in my inbox at 2:30am today. Preceding this question was a very direct message intended "for any naysayers who doubt the offer is coming", says Tsilon.ca founder Mister C.
The offer in question is one I posted on Sunday, detailing the free video game perk to every active G-List member that is supposed to be appearing on the Canadian ARG-style website www.tsilon.ca around mid-February. 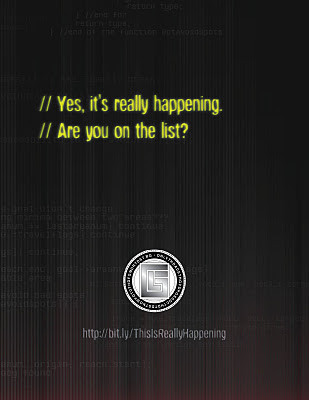 The image includes a website address, http://bit.ly/ThisIsReallyHappening, which redirect back to the Tsilon.ca homepage. I'm not sure what the intent of the redirect is, other than perhaps another display of the quirky (and often times, cryptic) messaging this site is known for. A deeper look into the background of the image shows some mysterious code snipped from one of the most popular multiplayer first-person shooters of all time. Guess what? It isn't Halo! A quick Google search of the source code indicates it was taken from Quake III, a game that places a strong emphasis on multiplayer action. Whether or not this source code implies a deeper meaning in the below message is not clear, however it worth noting that the Tsilon.ca "testing area" also includes code fragments from video games. Personally, I think the reason Mister C chose Quake III code is because he's hoping Tsilon.ca is going to sh-sh-shake things up. "Answer submitted. 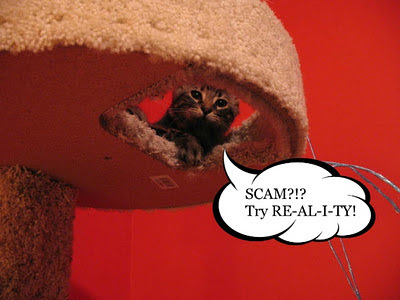 This domain will refresh unlocking your key if correct." What a terrible design. Haven't these guys ever hear of ajax?